A few weeks ago, I previewed some of the features playing at this year’s Cinéfranco festival, which kicked off tonight. Now I want to turn your attention to some of the notable short films, which screen in two programs this weekend. I will indicate after each film whether it screens in program I (Saturday March 24, 11am, 62 minutes, followed by a 45-minute roundtable in English about making a short film) or program II (Sunday March 25, 11am, 80 minutes). All screenings take place at the TIFF Bell Lightbox. Francis wants to fall asleep beside the woman he loves, but Caroline’s watch goes “beep beep.” This short bursts into life inside a car as Francis reacts to the rhythmic beeping with crazy dance moves which are all the funnier for not disturbing Caroline’s blissful sleep. Ranger, a World War II veteran, meets a delivery boy, Simon, who is an avid player of a video game inspired by the Normandy landings. Still reliving the war years later, Ranger has no patience for the kid who thinks it’s all so “cool.” When they discover one of Ranger’s “souvenirs,” things take a dark turn. Excellent performances by the actors give this the feeling of an intense one-act play. Salome is a ten-year-old girl staying with her grandparents. As she waits for her mother to come and pick her up, she observes their hostile and often silent relationship. There are lots of secrets about their previous life in Tunisia that they refuse to divulge, and unfortunately, we end up as frustrated as Salome watching this bitter old couple argue and sulk. 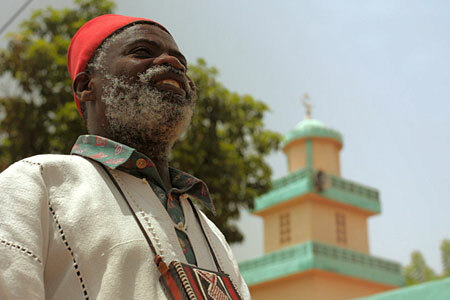 In Bambara tradition, the ancestors are the guardians of the truth and guide the living on the path of knowledge. Today the ancestors watch over the city of Bamako from above and are not pleased. They speak for the last time in the hope that the living listen to them. This short film from Mali has extra resonance right now in light of the very recent military coup in one of the continent’s oldest democracies. Let’s hope people do listen to the ancestors. 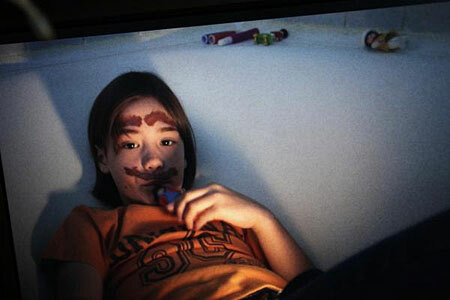 This entry was posted in Cinéfranco, Film Festivals, Shorts and tagged #cinefranco12, mali, quebec. Bookmark the permalink.